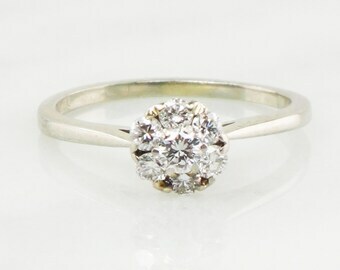 Vintage and antique engagement rings and fine jewelry. 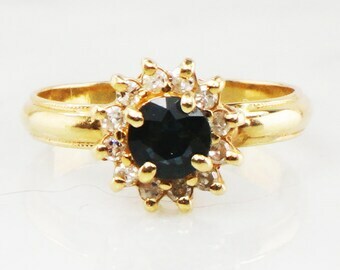 Announcement Belmar Jewelers specializes in vintage and antique jewelry. 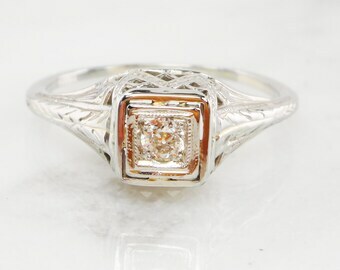 We have a large variety of engagement rings, wedding bands, diamond and gemstone rings, bracelets and necklaces spanning the Edwardian, Victorian, Art Deco, Retro and Mid-Century eras as well as more current pieces. We offer layaway payments on an individual item priced at $200 or more (a down payment of one third and then two additional payments over the next two months). Please contact us with questions or for additional information. Thank you! If you are able to visit our shop in Belmar, NJ and would like to see an Etsy item during your visit, please convo us a few days before your visit. We'll make sure the item is on the premises for you to see. 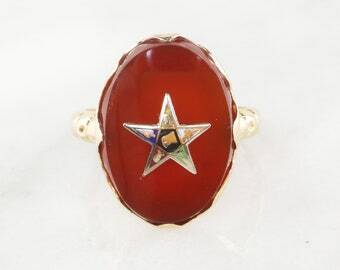 Belmar Jewelers specializes in vintage and antique jewelry. 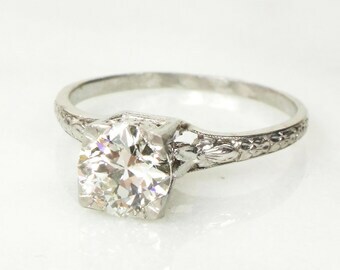 We have a large variety of engagement rings, wedding bands, diamond and gemstone rings, bracelets and necklaces spanning the Edwardian, Victorian, Art Deco, Retro and Mid-Century eras as well as more current pieces. The ring came so fast and was well packaged. 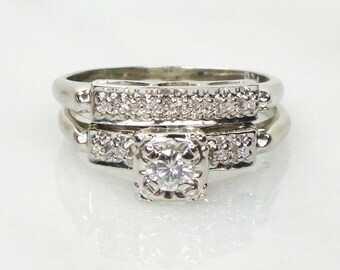 Very beautiful piece also :) I was so happy to see the inscription and will love this as my wedding band! 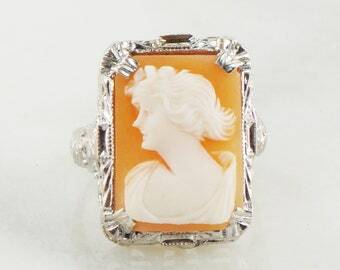 A sweet 14k white gold shell cameo ring! Love! Some new additions to our shop. 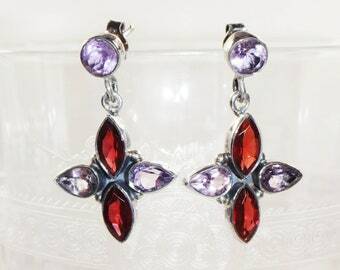 Sterling silver earrings, each with their own good looks and personality! 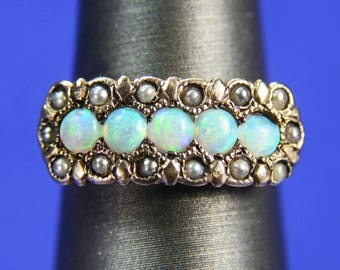 A wonderful selection of opal, pearl, topaz and turquoise gold rings! Belmar Jewelers opened a brick and mortar store in the seashore town of Belmar, NJ in 2006. The store specializes in vintage estate and antique jewelry including Victorian, Edwardian, Belle Epoque, Art Deco, Retro and Mid-Century eras. 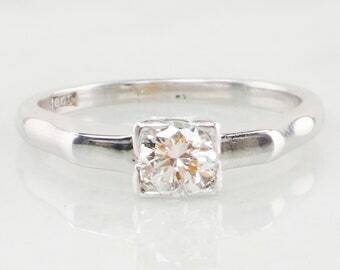 Joe Carl, proprietor, has worked with jewelry since he was a teenager. 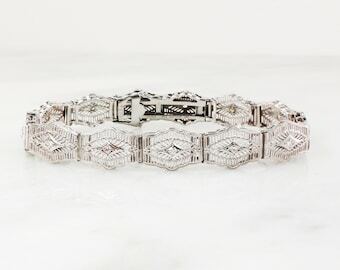 Joe grew up in an historic home and as his parents hunted for antiques to furnish the house, he gravitated towards antique and estate jewelry as he frequented flea markets, yard and estate sales, etc. 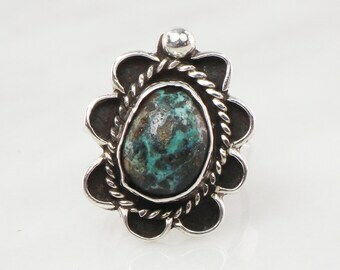 Joe feels that the gems and craftsmanship used to create vintage jewelry makes each piece a work of art. Each piece has a story and finding a new home for these vintage items is just the right thing to do. 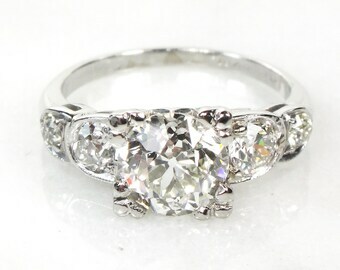 Joe has been a collector and dealer in antique and vintage jewelry and other estate items for many years now. With his penchant for antique jewelry, Joe wanted to open a jewelry store and so Belmar Jewelers was created. It is a mom and pop store located on Main Street. There is a small staff that works with Joe. They like shoppers to have a unique experience, always have a good time and to leave happy! We hope to bring this same experience to the shop on Etsy. Welcome, come in and browse and enjoy! 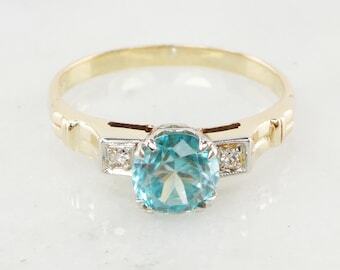 Passionate about vintage and antique jewelry, it makes Joe happy to bring together beautiful pieces with new owners who will cherish and enjoy them. He is always on the lookout for more special items to add to the shop! Our partner helps us by using our specs to create a beautiful and well made product. 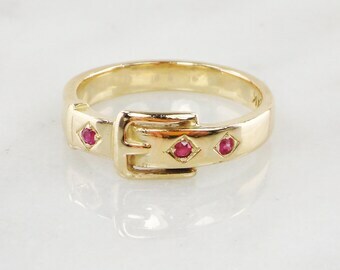 We hope you enjoy vintage jewelry as much as we do! Each piece tells a story... hope you enjoy browsing our shop. Please come back often to see what treasures we have found for you and feel free to ask us any questions you might have. If you decide to return an item, please contact us within 3 days of its receipt and send it back to us within 7 days of its receipt. Although when making your purchase, the shipping is included for free, we do incur shipping and packing costs. Therefore, we will refund the full purchase price minus our cost of shipping and packing fees. Returned items must be returned in the same condition in which they were shipped. Any items which have been sized prior to shipping, or damaged or altered will not be eligible for a refund. Returns must be sent to us in the same manner in which we shipped to you. For example, with insurance and signature required, as applicable. Please package your item carefully so it is not damaged in shipment. You will be responsible for return shipping fees. Payment Options: We happily accept PayPal, Etsy Direct Checkout Payment (VISA, MasterCard, American Express, Discover) and Etsy Gift Cards. Layaway Payment Plan: A customer may place on layaway one item with a purchase price of $200 or more. Please convo us for more information if you are interested in layaway and we will be happy to update the listing for you! Payment will be due in thirds with the first 1/3 as a down payment to hold an item and then 1/3 due for each of the next following two months. 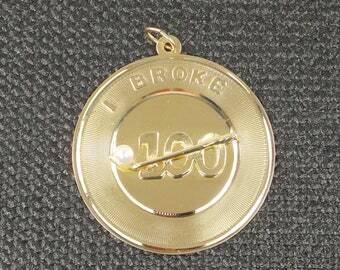 Therefore, full payment is due within 60 days. Please note that layaway payments stopped prior to complete payment will be offered a store credit only for the amount received at that point. (Payments made on layaway may not be refunded.) Please be sure to contact us first if you are interested in setting up a layaway payment plan. We ship only to the continental United States via the United States Postal Service. Each item will be wrapped safely and securely for shipping. We will ship your item within 3 business days after receipt of payment. 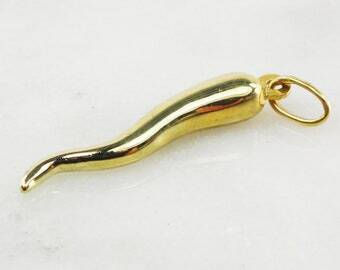 Jewelry Sizing: If sizing is needed please contact us with your request and we will discuss how much time is required to complete the work and additional fees, if any. Photography / Colors in Photos: Please note that colors may vary on each computer monitor. We do our best to photograph and describe the color of each item to the best of our ability. To See An Item: If you are able to visit our shop in Belmar, NJ and would like to see an Etsy item, please convo us a few days before your visit. We'll make sure the item is on the premises for you to see.